Hideo Kojima is showing off something we can't have again. Between tweets about how he's eating pasta (seriously, the dude always eats pasta!) we found this picture of a PS Vita running what looks to be the Metal Gear Solid HD Collection. 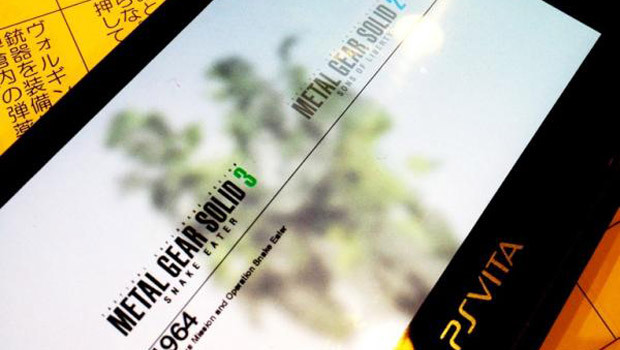 This would be the menu screen to pick either MGS2 or MGS3. The accompanying tweet says that this picture was taken during a recording session for the PS Vita version of the collection. It's nice to hear that they're progressing on this title. Gimme.